WOW!! 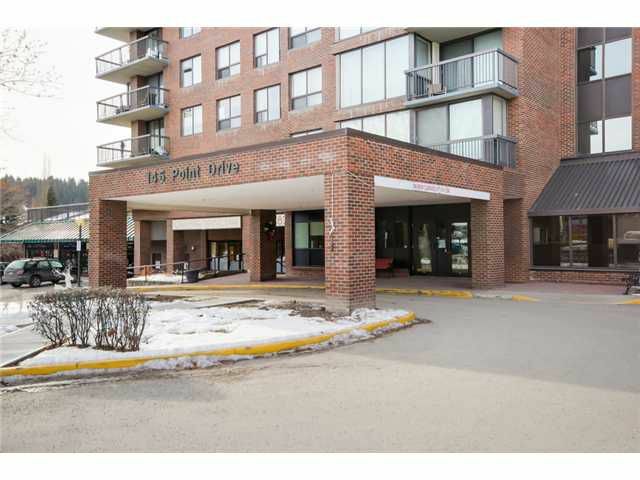 Completed renovated unit with beautiful south facing river valley and mountain views. Spacious 2 bedroom, 1.5 bath unit with bright living room and dining room thanks to the floor to ceiling windows. Spacious master bedroom with two piece ensuite and redesigned walk in closet. Unit has new engineered hardwood floors to greet you throughout, in-suite laundry and additional storage just to name a few. Also included is one assigned, heated underground parking stall and storage locker. Building has warm and friendly 24 hour security/concierge and maintenance staff at your service. As an added bonus join the Riverside Fitness Club next door at a discounted rate and go right from your unit..the club is connected off level 2. Great location to the U of C, Hospitals, Shopping, Bow River and the Rockies for a weekend getaway. Or instead you can enjoy bbqing with your friends/family on the spacious balcony with cocktails and sunsets. Condo fees even include electricity. Your pampered life awaits!